February | 2014 | Read.Write.Discuss.Repeat. Short stories take a long time. Last week I wrote about how I thought doing a lot of things, editing, reading and writing, all in one session could be harder or easier than I thought. I wasn’t sure if I could do it but I was going to try. It seems my subconscious has made my decision for me. Editing done in the past week = None. Reading done in the past week = Some. I’ve kept reading the Bottle Imp, which is a really good piece of suspense and thoroughly enjoyable read so far, but I’m yet to finish. I said I’d finish it last Tuesday night. What a fool I was. Writing = A fair amount. Along with doing some reading, mostly to and from my girlfriends flat, I have started and am close to finishing my first short story of the year. It is the story of an immortal who lives in modern day Manchester. He was born in 1900 and has travelled the world seeking the reason for his existence. He knows there are more of his kind but, as they all travel as much as he does seeking new adventures and getting away from people who have worked out or who are about to work out their secret, he has been unable to find any of them. Then he decides to commit an act that will get theirs, and his main target, The First Immortal’s attention. He feels The First must have the answer he craves. But will it be that easy? 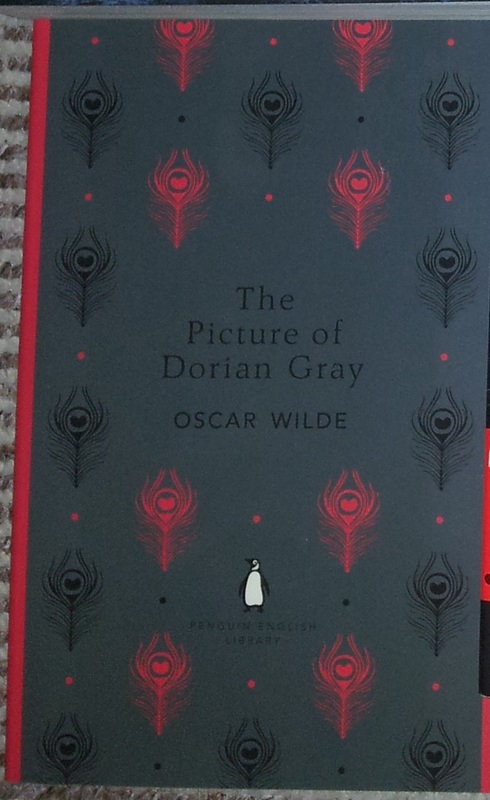 As for The Picture of Dorian Gray, that will have to wait a few more days. The Bottle Imp looks to be coming to an end, I only know this without reading the ending as I checked when it roughly finished, and then it will be onto Oscar Wildes book. Here’s hoping all this build up I’m giving it will be worth it. Ok, well I’m off to watch Olympiakos Vs.Man Utd. Have a good week and enjoy as much of it as possible. She’s makes a good point. One book down. But which one should be next? My continued attempts to edit two stories side by side have not been as fruitful as I thought they would be. I have been continuing to edit them but I didn’t do it for every day of last week. Which, in my head, was the plan. But I have managed to write more pages of The End Solution. It’s moving long quite nicely but I’m still no closer to finding out what the ending is going to be. I am starting to think I may have to write all of my possible endings out on paper and decide which works best. I’ve also found that I will have to go back and add in a few chapters to cover some story points I have neglected. Do I do this now or in the editing stage? I think I’ll do it now. Or maybe not. I’ll come to this decision after some careful thought. Or whilst I’m on the toilet. Or playing Pro Evolution Soccer. Or staring at the wall. Whichever way this comes to me though, I hope it is soon. Any who, on a different subject, I finished Dr Jekyll and Mr Hyde (http://www.play.com/Books/Books/6-/Search.html?searchstring=dr+jekyll&searchsource=2&searchfilters=s%7bdr+jekyll%7d%2bc%7b91%7d%2b) and it has become one of my favourite books of all time. The way Robert Louis Stevenson has weaved this story is unlike anything I’ve ever read. Maybe that’s my fault (there’s no maybe about it) but it’s a bold and striking style that captivates and keeps you hooked. Admittedly it can be a bit like hard work, some of the words he uses I’ve never heard of and the way I pronounce them in my head is most likely way off and the meanings will be as well, but if you are looking for a short, sharp and engaging read, I’d go for this one. 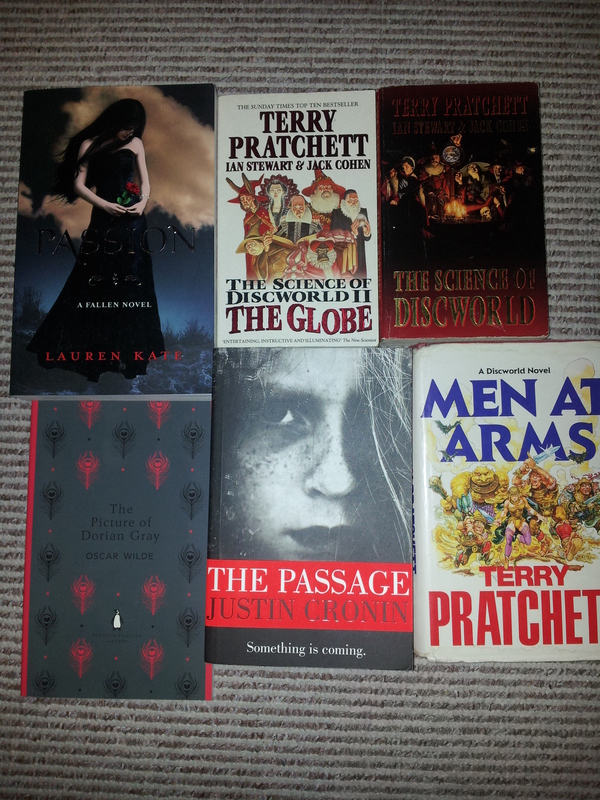 This finishing of the book malarkey has left me with a problem….what book do I read next? At the end of my copy of Dr Jekyll and Mr Hyde there is another of his tales entitled The Bottle Imp. I only found out this was in with my copy halfway through reading it when I glanced at the back of the book cover. It is an apparently sinister story which will give me time to decide which of these books I’ll read next. If any of you fine people have read any of the above, feel free to give me your honest opinion about which ever it may be. Or some if not all of them. This is a post from my first ever blog follower. Have a look as I think and hope this trend will stop at some point. Though that is a strong impossibility. We live in an era of hate. Instead of praising our favorite singers, we are tearing down one that doesn’t even matter to us. Instead of leaving a 5-star review on one of our favorite books, we are leaving a 1-star review on the recently highlighted one. Instead of looking up neat dance videos, we are watching a series of YouTube flicks of people falling down during their wedding day. For every person who loves something, there are ten people who are trying to tear it down just for fun. And so to the edit. Not forgetting the writing of course. I’ve started to edit the first chapters of two of my novels simultaneously. I’m liking how, as both stories are quite different, I’m not getting confused. Sometimes I think I’m going to focus more on one than the other or get parts of one story mixed up with another one. The Searcher’s Want, which I started for NaNoWriMo 2012 and finished recently, starts off in the same fashion as The End Solution, my ongoing NaNoWriMo 2013 effort. I’ve found over these two and over my other stories short and long, finished and unfinished that I’ve written, start by putting the reader in the middle of the action. I have always preferred this when reading any story so it doesn’t surprise me that I have started my own stories this way. But I am pleasantly surprised I’m being consistent with my writing. Had to happen some time. Both stories so far have started with the main character doing what he is chiefly known for. With the End Solution, the main character is about to and does remove the chemical from a potential threat to society. In The Searcher’s Want, he is searching for a demon and killing it. For me, putting the reader straight into the action is the best way to start. I like to be slowly fed the story. I also love reading a fast paced action scene. Writing them is a joy as well. All my long stories have many of these scenes in them but not too many. Well, so far anyway. I’ll probably remove some and add others when the edit gets into full swing. I’m going to post a draft of the first page or two of The Searchers Want on this blog and most if not all of the first chapter of The End Solution on http://www.critiquecircle.com/ sometime soon. Your comments and constructive feedback will be appreciated. Along with this, so that I don’t get too settled into a routine, I’m continuing to write The End Solution. I wanted to write a page a day throughout January but a combination of laziness and doing other stuff meant I managed ten pages. Which isn’t too bad considering I’m editing as well. And so from this I ask…. Did you manage to get a lot of writing done in your January?